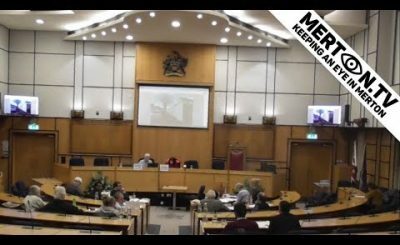 Apologies for absence were received from the Chair, Councillor Linda Kirby and the Vice Chair, Councillor Najeeb Latif. Owing to the absence of The Chair and Vice Chair, it was proposed, seconded and agreed by the Committee that Councillor Peter Southgate would be appointed Chair for this meeting. RESOLVED: That the minutes of the meeting held on 19 July 2018 are agreed as an accurate record. Supplementary Agenda: Amendments and modifications to the Officer’s report were published in a Supplementary Agenda. This applied to items 5,6,8 and 9. Proposal: Demolition of two semi-detached dwellings and erection of a three storey building (with basement) comprising 4 x 2-bedroom flats, 3 x 1-bedroom flats and 1 x studio flat together with associated landscaping. The Committee received verbal representations from two objectors to the proposal and Ward Councillor Anthony Fairclough. There are now 229 signatures on a petition against this application. The application is a clear breach of Merton Council Policies. The new NPPF (National Planning Policy Framework) says that old buildings should be used in a more sustainable way, and not just demolished. These Victorian homes have heritage value and should not be lost. The application is not well designed. 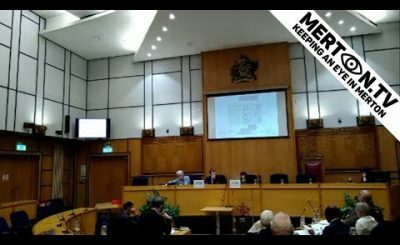 The proposed basement is over 80% of the application site and therefore contravenes Merton’s own policy on Basement development. This was previously refused on grounds of scale and massing. The new NPPF says that proposals should be visually attractive and can be refused for poor design. This application is a poor design and is ugly. The application contains single aspect flats, also in contravention of Merton’s policies. The Inspectors Decision is not the only material consideration. The Design and Scale of the application has been tested and found to be acceptable against Merton Policies by the Planning Inspector. The Inspector dismissed the appeal on the previous application only on the grounds that a legal agreement on parking and being “permit free” was absent. This application included a signed S106 agreement that covers all parking issues, but in all other matters is the same as the previous scheme. All matters of design and scale were found acceptable by the very recent Planning Inspectors decision. This is given weight in the Officers Recommendation. New NPPF was a material consideration. Whilst it does talk about design it also talks about using Brownfield sites, such as this one. It also talks about housing provision and supply. The Merton Basement Policy does talk about 50% of the garden area being a maximum for basement size but this is geared towards basements being built under existing properties. This application is a new build and therefore the 50% figure is not given as much weight as it is much easier to build a basement on a new build when taking the development site as a whole. The Scale of the basement was tested against Merton Policy and then considered by the Planning Inspectors appeal decision, therefore we know that this has already been considered and accepted. The reasons for refusing the Previous identical application did not mention the scale of the basement. The Roof material is Zinc, which will start off as a light grey colour and then darken. The Inspector viewed this property almost a year ago, and took 4 months to publish decision. This application was made in May 2018, and the NPPF was updated in July 2018. The new NPPF supports the previous reasons for rejection. Important to preserve the Victorian Heritage, we previously rejected on scale and mass but not specifically on the scale of the basement. Considering the Inspector only dismissed the Appeal on the lack of an S106 for parking, we can assume that he had no concerns regarding the scale and mass of the proposal. The only new consideration is the new NPPF, but we need to be very clear on how this changes the proposal. These existing properties do have architectural value and this is protected by the NPPF section 127. Concern about the scale of the basement. Members should consider the housing need in the borough, these 1 and 2 bedroomed flats are needed. The Chair Commented that the Basement had not been included in the past reason for refusal, and that it was officer’s advice not to include new reasons for refusal in cases that had already raised no concerns from the Planning Inspector. He advised that Members needed to be confident that their reasons for refusal overrode the past decision. A motion to refuse was proposed and seconded, for the same reasons as the previous application and also with reference to the new NPPF and its promotion of Sustainability with reference to keeping and renovating the existing houses. This motion was defeated by the vote. The Committee then voted on the Officers recommendation to Grant Planning Permission and this was carried. 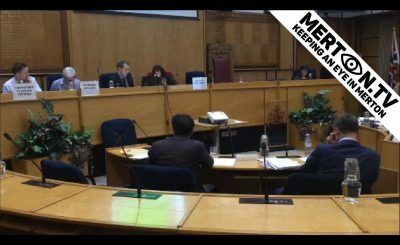 Councillor Dean requested that the minutes should record that he voted against granting planning Permission. The Committee noted the officer’s report, presentation and additional information in the Supplementary Agenda – Modifications. The Committee noted that the Supplementary Agenda contained details of a report from the Applicant’s highways Consultants considering the report of the Objectors transport consultants. The Committee received verbal representations from two Objectors to the proposal scheme and from the applicant. This application seeks a 26% expansion and will shrink the current garden area. No Bat survey has been provided. The Home already causes problems for local residents by increasing parking stress on their roads. Residents commissioned their own transport survey which shows that parking stress is at a level of 89%. The application is overdevelopment of a business in a residential area. The application is contrary to Merton Policies and to the new NPPF. It is overdevelopment in a Conservation Area and does not respect the conservation area. Requires two trees to be removed, which will lead to overlooking. Abbeyfield is a leading not-for-profit organisation, and is committed to developing this site to provide much needed specialist dementia care. We are aware of neighbours concerns around parking, we will manage this issue. The Design of the proposed scheme will compliment the existing building. We will manage the concerns of existing residents of the home. New landscaping will compensate for the loss of garden. The two trees to be removed are part of a well-treed boundary and are off the boundary. The Council’s tree officer has no objections to the removal of these two trees. There is a tree protection condition and we can ask for some enhancement to the screening if needed. Lancaster Avenue is not an adopted road and the Council has no duty to maintain or monitor operation of the road. It is a private gated road, which is why the applicant had to carry out their own traffic and parking survey. Merton does not have a specific policy to increase bedrooms in supported care homes. There are no parking standards for care homes, Ambulances would take the best route. At the moment the home does not have a travel plan but one is proposed for this application, but this is different to discussions about extra traffic from additional rooms. Officers are content with the proposed % coverage of the site, there will still be garden space. However, if at some point in the future, further development is proposed this may constitute over development. Emergency Vehicle access operates already via ,Lancaster Avenue. This road is wide enough for such vehicles, including Fire Engines, even when parked on both sides. As it is a private Road it is up to residents if they want to do anything about this. Transport Planning Officers believe that there are adequate parking spaces in the surrounding streets to cope with the net increase of 3 rooms. This application will increase staff and bedrooms at the home, but this increase won’t significantly increase the number of ambulances arriving at the home, it is the increase in visitors and their parking that will have a significant effect on parking in the area. Although the Report says that there are parking spaces available in the area, it is human nature to attempt to park as close as possible, to go through the gates to Lancaster Avenue to attempt to park in the Home and then park on Lancaster avenue when the home parking is full. One Member commented to remind Members that Officers did not think that emergency vehicles would have a problem entering the site, that additional provision of rooms was required and that there were parking problems all over the borough, not just in this area. A motion to refuse was proposed and seconded, for the reasons of not enough on-site parking leading to an exacerbation of existing problems on surrounding streets and the proposal constituting overdevelopment. Members asked officers about the possibility of residential use of the existing site and were assured by Officers that this was highly unlikely and if it did occur enforcement action could be taken. Members asked about vehicle movements on and off the site and noted that this was probably less than when the site was in use as a dairy. Proposal: Construction of new two storey building and demolition of existing modular building, construction of new hard play area and soft landscaping. Erection of single storey extension to block A (main school building) and block C(chapel orchard building). Refurbishment of internal spaces and new boundary treatment. The Committee noted the officers report and presentation and additional information provided in the Supplementary Agenda – Modifications, which included reference to the reply from Historic England, and the resulting amendment to the archaeological condition. The Committee received a verbal representation from Councillor Draper. 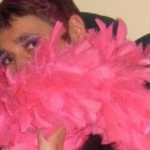 He stated that he was involved with the School and that it was arguably the best School in Merton given its achievements. He continued that the School needs to expand as there is a demand for spaces, and every room and space created by this application has had its use plotted out already, in consultation with the Children. This proposal will open up the School for the pupils, and they see only the possibilities it creates not the style of the buildings. Members asked officers about the net loss of trees, and noted that officers had considered all the options available but the loss of some trees was necessary to provide enough space for the School to continue to operate whilst also providing the new buildings for the expansion. Members noted that the proposal would create 80 new school places. Members noted that the Landscaping Condition was worded to ensure that the School properly managed the new trees. Officers advised that a Travel Plan would be in place, and also advised that if Members had issues with the Travel Plans of other Schools they should raise this with senior Officers in E&R and CSF. Members felt that their concerns on the views of the DRP and on tree loss were greatly out weighed by the benefits of the proposal. The Committee noted the officer’s report and presentation and additional information in the Supplementary Agenda – Modifications. Members commented that the proposal would be an improvement on the current building on this site. Members noted the Resident’s reason for objecting to the inclusion of Yew Tree T1 into TPO 726, which was that it blocked the view of the road and pedestrians when reversing a vehicle off the drive. Members commented that the Highway Code recommends that vehicles should be reversed onto drives and then driven forward back onto the road. Members agreed that if the resident followed the recommendation of the Highway code then the Tree T1 did not present any risk to road or pedestrian safety. Members agreed that they wanted T1 included in TPO 726. A member who had been on a recent site visit said that he had not been able to see the tree at that time. · Why has the enforcement action at 13 Fairway Raynes Park, taken so long? · When was the site visit to Burn Bullock that observed water ingress?